Alta Care Group administers both the Head Start and Early Head Start programs in Mahoning County. While these programs have similar goals, there are some differences between them. Here is a summary that will help you understand those differences. Q. Are the services the same in Early Head Start and Head Start? A: Overall, the majority of the services are the same and are based on the age-appropriate needs of a child. Alta Early Head Start offers Center-based and Home-based options, while Head Start is only Center-based. In the Home-based option, a Parent Educator visits the child on a weekly basis, bringing information and materials to support learning in the home environment. The parent(s)/guardian(s) play an active role in these home visits. 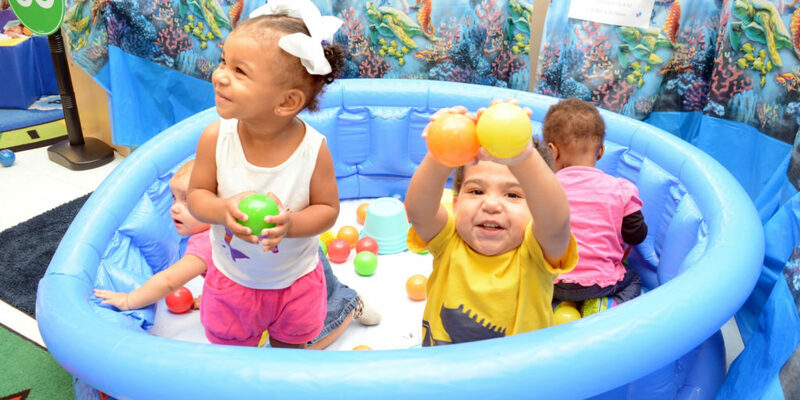 Early Head Start also provides services to children throughout the calendar year, while Head Start services are only offered during the designated school year. Q. How old does my child have to be to attend Early Head Start? A: Early Head Start services are provided for children 6 weeks through 2 years 11 months old. We also service a limited number of pregnant women in supporting their journey to motherhood. The baby is then transitioned to either Home-based or Center-based services when appropriate. Q: Is there transportation in Early Head Start? A: Unfortunately, we are unable to provide transportation services for Early Head Start. As noted, we provide a Home-based option for families who wish to receive Early Head Start services and materials to support a child’s learning in his/her home environment. Q: If my child is in Early Head Start, will he/she then go right to Head Start? A: Early Head Start and Head Start are actually two different programs. That said, every effort is made to transition an Early Head Start child to our Head Start program. An application is completed and we update with families, as the child nears transition, to discuss available Head Start openings. If you have further questions about Alta Early Head Start, please call (330) 736-0071.